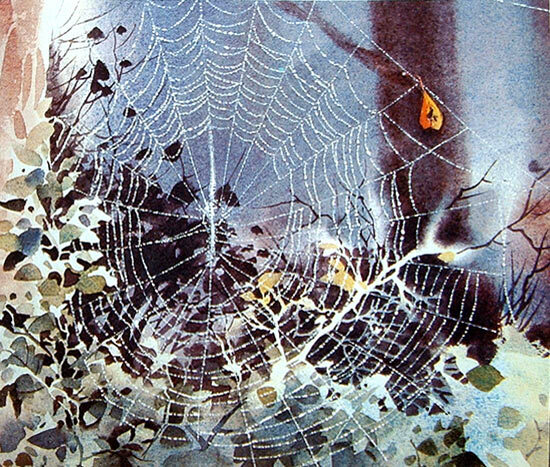 This watercolor painter paints natural subjects with a very great wisdom. It uses all the tricks and techniques that must be known if painting with watercolor. 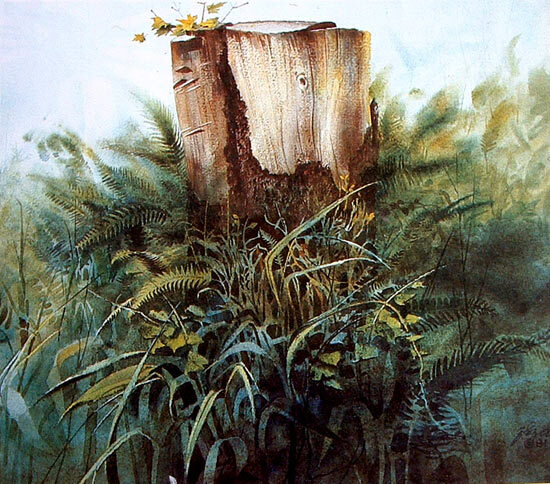 Even a subject as simple as a tree trunk just being spectacular in the hands of Zoltan Szabo. Reservations (to protect whites and lighter elements). Glazes and washes of watercolor. With these techniques, a lot of patience and a lot of art, can reproduce the herbs, water reflections, textures, or the precise forms of a plant. 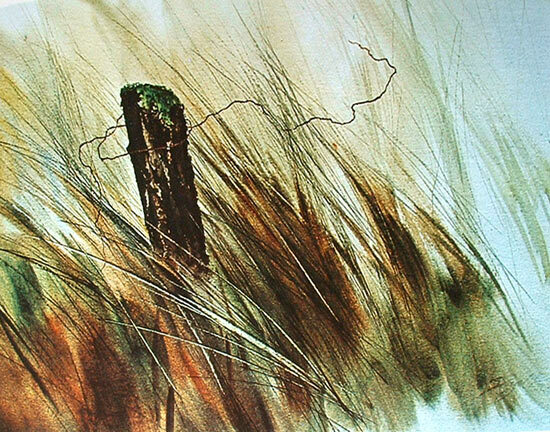 These elements are its beauty, the attractiveness of his watercolors. 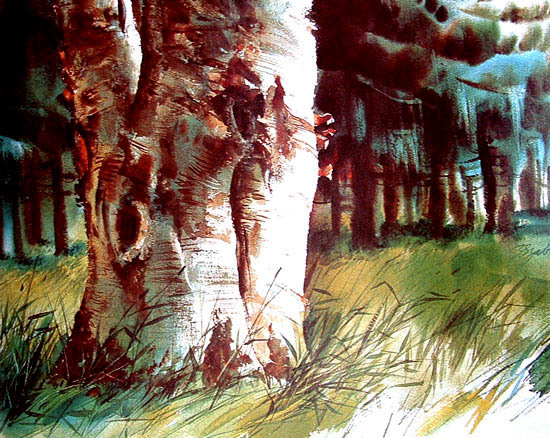 He´s traditionally watercolorist, he represents nature realistically and he knows the right color value. Use dry brush (with direct painting undiluted) and I guess that uses a coarse bristle brush. 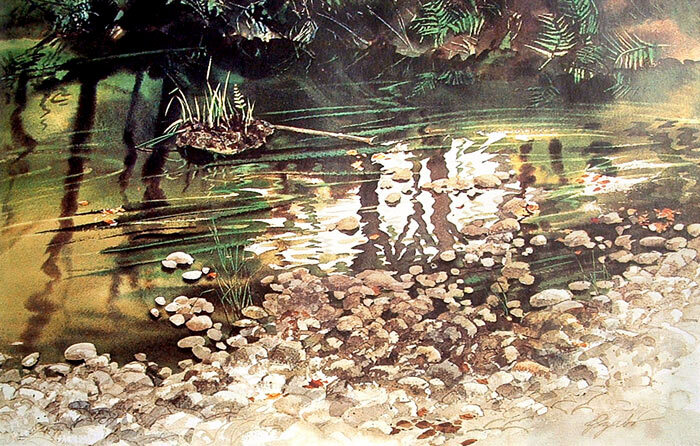 Stunning water reflections created in this watercolor. Spider web made ​​with the technique of scratching. The paper should be of very good quality. 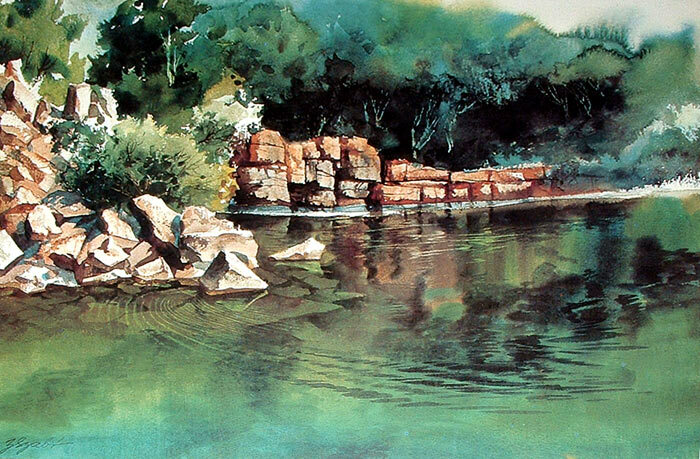 A watercolor lake, one of the best themes for this painting technique. A work nicely toned, with depth and foreground.